Aluminium ladders can conduct electricity and are not suitable for use when electrocution is a risk. 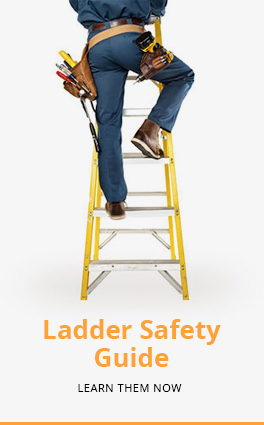 Fiberglass ladders are generally used in these situations to negate the risk of electrocution and improve safety when working around electrical hazards. In the local market, majority of the fiberglass ladders are imported. This factor caused the high price of fiberglass ladders and also limits the availability and quantity of sizes. We recognized this shortcoming and invested in developing a range of fiberglass ladders so that Malaysians will be able to work safer without investing in large sum of money for an imported fiberglass ladder. For quality assurance, majority of our fiberglass ladders meet and exceed the BS EN131 standard's requirements. Additionally, our fiberglass material has also been tested for dielectric strength and it far exceeds the industry standard of 35 kV/in. Should you request for it, these test reports can be provided upon purchase.